The effluent treatment plant is designed to treat the effluent i.e. Wastewater recycling coming from different areas of the plant. used in all type of industry. I t is used in many processes of Industry. It may be used for washing, cooling, Heat Exchanging, condensing the steam etc. But Water used in industry is not totally consumed. Hence, almost all industries generate waste water from industries that needs serious action. So, improper discharge of waste water can pollute local Environment. In many manufacturing Industries, by-product can be treated as waste water called “Effluent” should be treated before it release into the environment. Effluent is an outflow of water or gas from a natural body of water, or from a human made structure. Effluent is defined as Treated or Untreated Waste water that flows out of a treatment plant, sewage, or industrial outlet. So this treatment of waste water i.e. untreated effluent is turned into Treated Effluent with the help of Effluent Treatment Plant (ETP) sometimes it is also called as Sewage treatment Plant (STP). Clean water then is safely discharge into Environment. Industrial waste water treatment covers the mechanisms and processes used for waste water treatment that have been contaminated in some way by anthropogenic industrial or commercial activities prior to its release into the environment or its re-use. Its objective is to produce an environmentally safe fluid waste stream (or treated effluent) and a solid waste (or treated sludge) suitable for disposal or reuse (usually as farm fertilizer). Effluent from industry must meet the National Standards for waste water set by Government. So, Effluent Treatment plant ETP or Sewage Treatment Plant (STP) should design & operated in such a way that it treats the waste water to these standards. 1) Preliminary – Removal of Solids, Oil & Grease. 3) Secondary – Removal of Biodegradable organic matter (BOD). 4) Tertiary – Removal of residual suspended solids, Dissolved solids. The Effluent Treatment plant once constructed/established need to have operation & maintenance through qualified & experience persons to serve efficient & effective operation of ETP, qualified operator & supervisor are being provided by Perfect Pollucon Services who maintains all the records of the operation and attends the day to day trouble shooting. 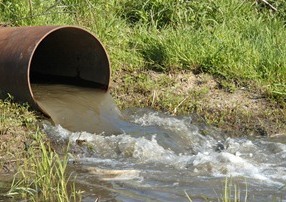 Learn More About Wastewater Treatment Methods. 1) Plant Manager: is an individual with environmental engineering or science /Graduate or Post Graduate Background with experience of at least three years on similar plant(s). 2) Plant Operator(s): is an Individual with at least a High School Pass with sciences and be physically fit and mentally alert. Comprise a team of qualified / trained operators who work in shifts in operating and maintaining screens, grit removal devices, pumps, aerators, valves, etc. 3) Laboratory Analyst: is a qualified individual should be at least B.Sc. with Chemistry who has knowledge of water and waste water chemistry and is trained in preparation of laboratory chemicals, use of laboratory instruments, collection and preservation of water / waste water samples and analysis for various environmental parameters such as pH, SS, BOD, COD, TDS etc. Above staff is used to run ETP or STP effectively which gives proper result set by respective Govt. Learn More How Effluent treatment plant is designed? Operation of Units such as Screens (Coarse / Fine Bar screens, Manual/ Mechanically operated), Sumps and Pumping Stations including Pumps, Motors and Panels (Centrifugal Horizontal / Vertical Turbine), Valves(Sluice gates, Non return, Reflux), Pipes/Specials and Pipe Joints, Grit Removal Units. Primary Sedimentation / Settling tanks, Scraping Mechanisms, Sludge withdrawal, Sludge Sumps, Sludge Pumps, Aeration tanks and Aerators, Secondary Settling Tanks, Secondary Sludge Sumps, Pumps, Sludge Thickeners, Sludge Digesters, Gas Production, Sludge handling and Drying. Maintenance of Pumps and Motors, Electrical Panels (Starters, Meter, (Energy, Voltage, Amperage, Power factor), Blow out Fuses, Valves, Gates, Scraping Bridge Trolley, Aerators, Reduction Gears, Open Air Weather Casings for Motors, Sprocket wheels and Chains for Mechanical Grit and Screen removing devices. Our Organisation has extensive experience in order to Operate & Maintenance of Effluent Water treatment Plant or Sewage Treatment Plant (ETP or STP). We also Provide Services in Environmental Monitoring such as Ambient Air, Noise, Soil and Drinking water. Can an ETP be used to further treat the STP water output)? Do you take contracts for operations and maintenance of ETP plants in cooperative society? Thank you for asking. You can call on numbers mentioned on top-right corner. Sure you can call us on 9930180059 for More information. Request you to call on Above mentioned number so that our representative can help you on your query. Sir am prahlada k we r installed new ETP (Electro coagulation method) but we can not controlled the TDS, initially tds-15000 is present in the wast water,after treatment we will get same TDS any solutions you have please suggestion me ….